Northants have signed Pakistan-born seam bowler Muhammad Azharullah on a one year contract. 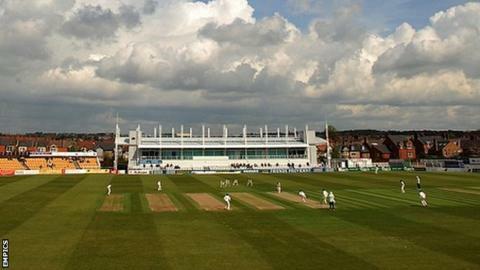 The 29-year-old has played all his first-class cricket in Pakistan, but is now a UK resident. He has taken 190 first-class wickets at an average of 26.51, and 40 one day wickets at 27.77. Northants head coach David Ripley said: "Having learnt his trade in Pakistan, Azhar has developed ways of getting batsmen out on flat pitches." The club is happy with the way their squad is shaping up ahead of the county season. Northants chief executive David Smith said: "Our seam bowling attack with Trent Copeland, David Willey, Steven Crook, Luke Evans, Oliver Stone, Andrew Hall, Lee Daggett, Azharullah and Sam Sweeney offers us good cover for potential injury and player rotation to manage work load. "We also have good spin bowling options with James Middlebrook, Con De Lange and Matt Spriegel."